Jaguar suspends work | What Car? Jaguar Land Rover has suspended work at its factory in Castle Bromwich for two weeks. 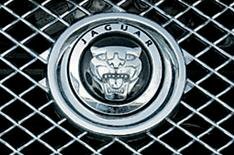 The Midlands plant builds the Jaguar's XF, XJ and XK models, and employs a workforce of about 3500 workers. JLR last week said it would be cutting 450 jobs in the UK due to the slump in car sales. The latest announcement follows Honda's decision to extend a planned halt in production during 2009 from two to four months. Other high profile manufacturers who have announced cuts in production at UK plants include Aston Martin, Bentley, Nissan and Toyota.